It begins when his friend predicts “You’ll never make the six o’clock.” Two days away, Thanksgiving is in Chicago with his family. In Manhattan, just finishing a business meeting, he could be—scratch that—should be home in four hours. Fighting the holiday rush, his race begins for a cab, which is stolen, sending him chasing after it down Park Avenue. When he arrives at the airport, his flight is delayed. How much worse could it get? A lot worse. Planes, Trains and Automobiles is Thanksgiving’s best-loved movie. 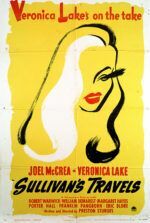 Indeed, I can hardly think of another Thanksgiving-themed film that compares, aside from Home for the Holidays perhaps. And yet, the majority of the picture takes place on the proverbial road, as opposed to the comfy household setting our minds associate with the traditional family Thanksgiving. No arguments about who’ll make what. No turkey drama. No football games. No stimulating family conversation. Just cheap motels, mini bars, and the Flintstones theme sung by the Groundhog Bus choir. Steve Martin plays Neal Page, a plainly drawn marketing executive who spends too much time on business trips. 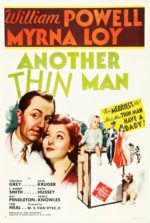 He desperately tries to get home to his wife (Laila Robins) and children, who seem overjoyed that he’ll be back for Thanksgiving. He spends the film separated from them, and instead, in the company of Del Griffith, played by the genial John Candy. A shower curtain ring salesman, Del’s the sort that shakes your hand and says “Still a million dollars short of being a millionaire!” with a hearty salesman chuckle. He’s also the fat guy Neal sits next to on the plane, the one that talks endlessly about nothing, removes his socks to air out his feet, and falls asleep on Neal’s shoulder. On their suspiciously long trip from New York to Chicago, they’re sidetracked to Wichita and unable to catch another flight, and so they head for St. Louis, and so on. Along the way are disasters and laughs that are eternally funny no matter how many times they’re viewed. Noting them all would result in a scene-by-scene transcription. But of course there’s the race for a cab against Kevin Bacon. The pillows which are not pillows. John Candy doing the “Mess Around” while driving. And, though every other piece of the film is perfect family entertainment, it received an R-rating for one F-word laden scene, and it’s worth it. Neal and Del form that bond indicative to movie road trips, by way of several Hughes-brand epiphanies. The first occurs when Neal unloads his frustrations about Del’s personal foibles; Candy’s face drops, and retorts with a humanist speech few actors could make believable: “You wanna hurt me? Go right ahead if it makes you feel any better. I’m an easy target. Yeah, you’re right, I talk too much. I also listen too much. I could be a cold-hearted cynic like you… but I don’t like to hurt people’s feelings.” Candy’s underappreciated and somewhat unexplored range as a comedian capable of drama shines through, presenting the heart of this movie. Del is what happens to a person when they spend too much time away from home. Now filled with regret and loss, with no family to go to, he wanders on the job. Certainly Thanksgiving messages tell Neal to better appreciate his somewhat neglected family, but also to accept Del into his home when their voyage finally comes to an end. Thanksgiving becomes about finding a place to be where you’re among friends and loved ones. 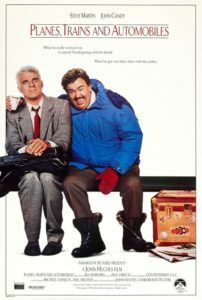 The lasting enjoyment of Planes, Trains and Automobiles has rendered Hughes’ picture necessary viewing each year. 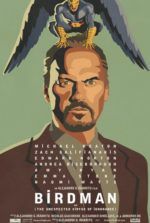 This isn’t an instant classic, but one of those rare treats that matures with time and experience (despite its genre limitations, being at once a buddy movie and a road movie). Having established itself as undeniably watchable and utterly delightful with its realness of emotion, blithe and true humor, and universality, this is Hughes’ greatest comedy.